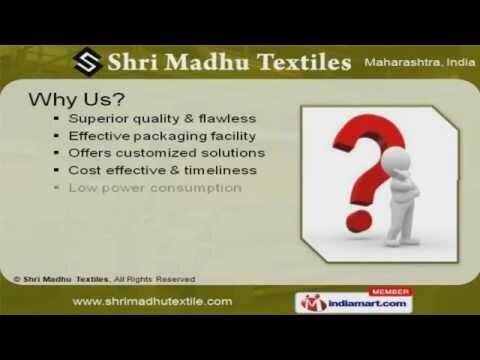 Welcome to Shri Madhu TextilesManufacturer & Exporter of Textile MachinesThe company was established in the year 1964, at Mumbai. Our products are applicable inTextile Industry and we have various clients across the globe. Effective packaging facility, Low power consumption & Cost effective & timeliness are thepillars of our organization. We offer a vast range of New Weaving, Textile Processing& Embroidery Machines. Our Used Weaving Looms are well known for their outstanding performance. We offer Used Spinning & Knitting Machines that are available at industry leading prices. We also provide New Weaving Machines that are cost effective. Used Processing & Embroidery Machines offered by us are extremely reliable. Along with that we offer New Textile Processing Machines that are a class apart.